The gaming peripheral market is littered with brands and their offerings and therefore, gaining that all important spotlight is especially difficult because of the fierce competition. Since their entry onto the gaming peripheral scene back in 2011, Corsair has had lots of success, particularly with the prolific Vengeance product lines. But today we are looking at a product from Corsair’s Raptor range, named M45. Raptor M45 is a gaming mouse aimed at FPS gamers. 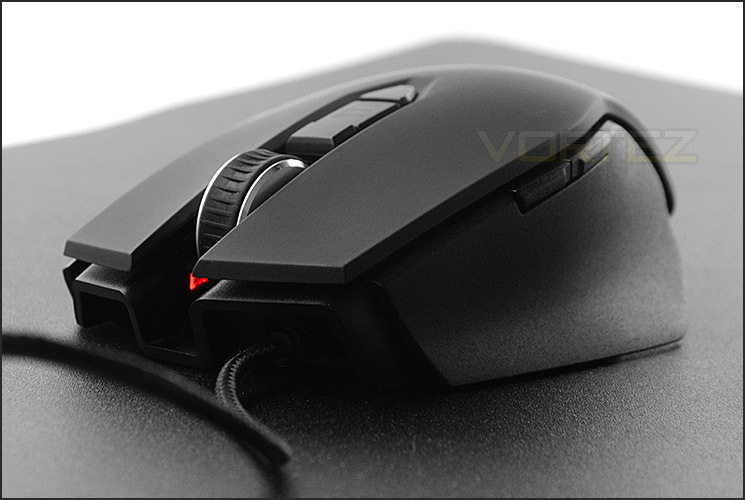 It utilises the Pixart PMW3310 optical sensor which is capable of up to 5000 DPI and a unique weight system to allow the gamer to choose the specific weight of the mouse. Join us as we explore all of these features and more!